Nestled high amid the lofty peaks, Bhutan is one of the most secluded countries in the world. Despite this, the last Buddhist kingdom has a reputation for being the intriguing and the happiest nation in the world. On top of that its aesthetic charm and authenticity has been a strong reason for grabbing the attention of the travel fanatics worldwide. 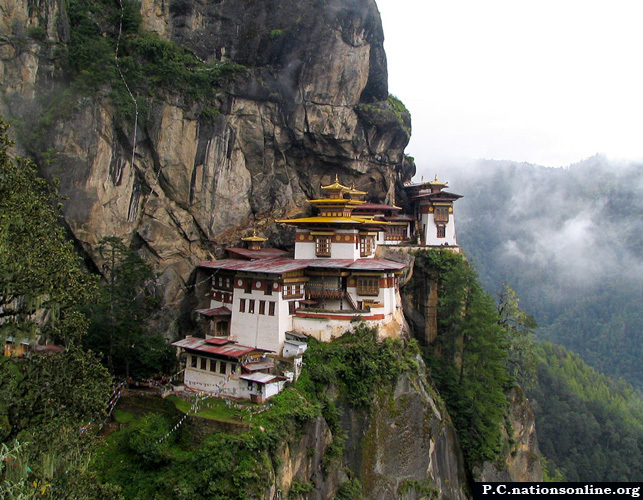 Despite the tourist attractions in Bhutan, it’s a country of cultures and beliefs, the untold myths, and legends. Apart from this, here are the 10 reasons why you should visit Bhutan at least once in a lifetime. Breathtaking landscapes that mainly serve as Bhutan tourist attractions, dotted monasteries and the age-old Dzongs, unclimbed mountains, hot springs, mesmerizing views if anyone seeks for Shangri La, then the mountainous kingdom well deserves a recommendation. Its aesthetic allure and the serene air in which it breathes in will surely enrapture you. It’s a country where the spirituality is the deep-rooted into the lives of the people. It is evident from the massive statue of furious looking idols, mandala paintings, intricately structured temples and monasteries. 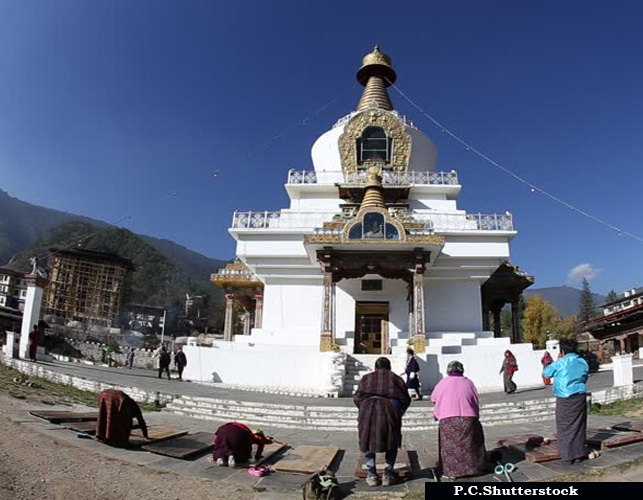 What adds more to them is the glimpse of people walking around feeding the pigeons and encircling the monasteries with prayer beads on their hands chanting mantra under their breath. When every country in the world is seeking solutions to deal with the climate change, one tiny country has begun to win global identification for its radical climate change strategies. With 72% of Bhutan’s land under forest cover, the country consumes over 6 million tons of carbon yearly, while only generating 1.5 million tons. While the renowned economists in the world are stating that a nation’s prosperity lies in the material wealth gain and its utility, Bhutan comes up with a bizarre notion. The quaint country believes that prosperity of a country lies in the well-being and the happiness of the people. 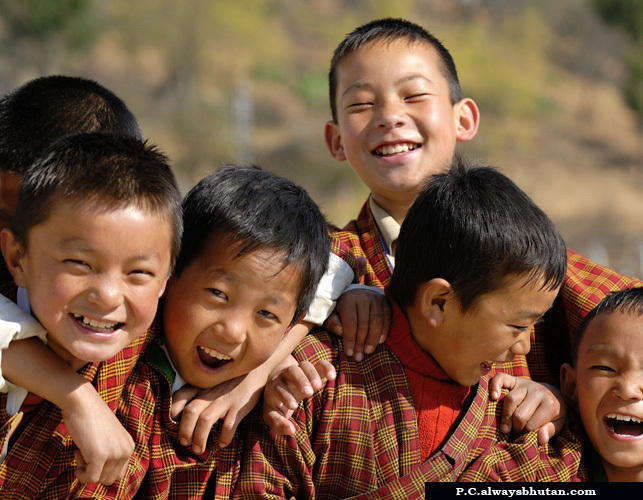 Thus they remain to be a leading one by embracing the philosophy of Gross National Happiness (GNH) over GDP. 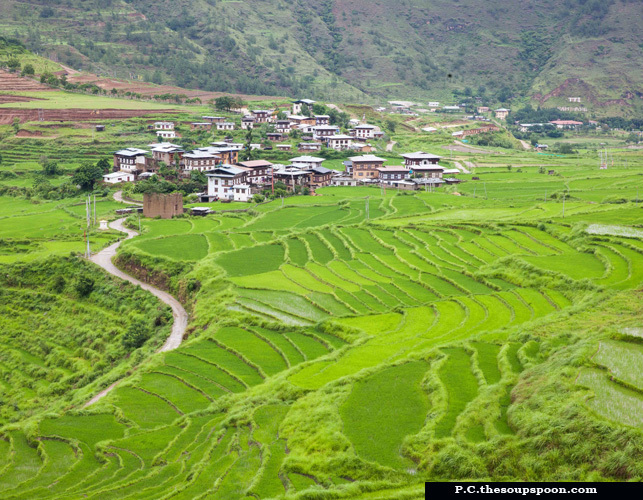 Thimphu the country’s capital and the cultural hub maintains a unique blend of modernity with that of the ancient traditions. Thimphu, as Bhutan tourist attractions, will mesmerize you with its excellently maintained township, devoid of traffic lights. It’s perhaps the only capital in the world where the policemen direct the traffic with hand gestures, surprisingly without causing any chaos and inconvenience. Blessed with enchanting landscapes, fascinating trekking trails, and the terrains that are both rugged and unexplored, Bhutan favors the road warriors, daredevils, adventure fanatics. It’s a pure delight to those that love to be on the seat of the bicycle traversing the rugged roads, or, the ones that conquer ascend and descend of the off-beaten trails. The whole world may spin with the dynamism of the thriving technology, but Bhutan so cautiously preserves its cultural and traditional beliefs, that can be seen during the Tshechus. It’s the time when the whole population of the kingdom so enthusiastically participates in the celebration, evoking their deities. 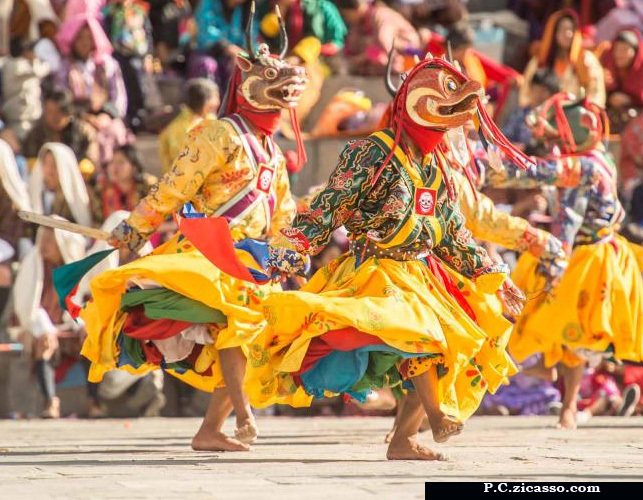 Mask dance, archery competition are major features of Bhutan attractions and a crucial a part of merrymaking during the celebration. 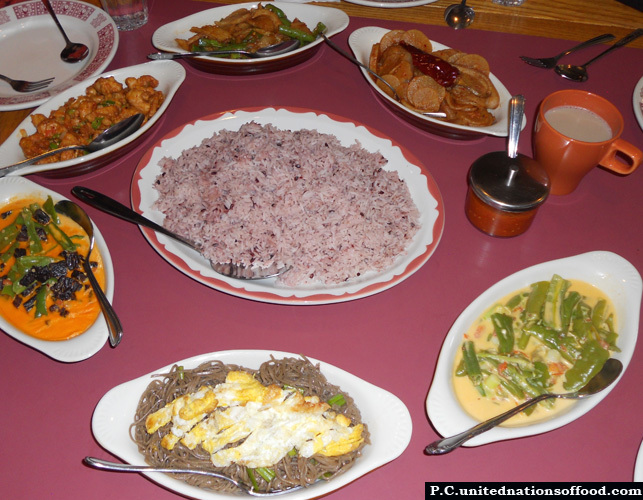 Bhutan’s isolation from the rest of the world has not only impacted on their culture and beliefs, but also on the type of foods they consume. It’s a country where you can savor spicy yet delicious Bhutanese cuisine “Ema Datshi” prepared from the chilies cooked with cheese. You can even treat yourself Spicy Chicken, Pork with red chilies, momos, etc. On festivities, you can treat yourself to traditional drink Ara, a local wine. 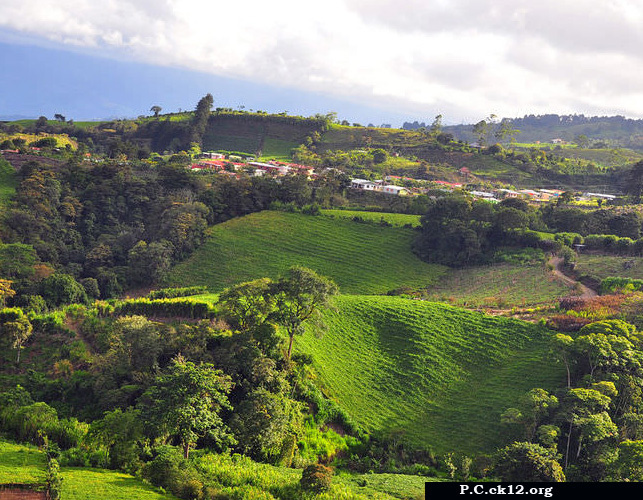 It’s a country blessed with natural wonders like hot springs and mineral springs. 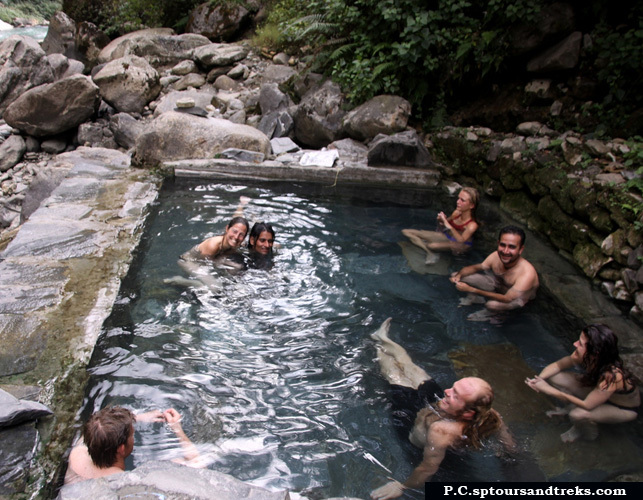 Bhutanese believe that the hot springs possess the quality to heal skin diseases and restore the good health. Minerals hot springs, which are major attractions in Bhutan, are located in Punakha, Bumthang, Gasa, Zhemgang, Sarpang, and Lhuntse. It is also believed that these springs owe their existence to the blessings of Buddhasattivas and Buddha. As for some, religion is the essence of being on the right path. The last existing Buddhist kingdom to follow the Mahayana Buddhist sect remains the as the dream destinations for pilgrims. Besides, the pilgrims on a quest for salvation not only attain the contentment and bliss, they’re also profoundly rewarded by the excellent backdrops of the mountains and vales they traverse, the woods covered with bloomed rhododendrons, primulas, blue poppies, and Takin, blue sheep grazing on the lush meadows. Not only can these reasons suffice the explanation for exploring the Dragon Kingdom. Bhutan top attractions that are buried with fascination, myths, and legends are another factor that the travelers from worldwide seek to explore this magical realm. 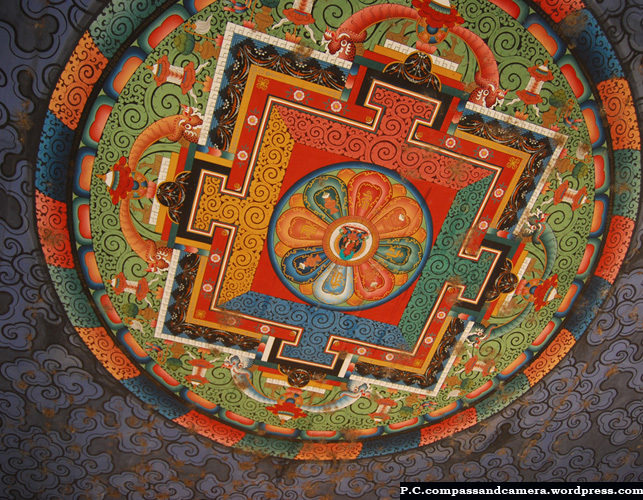 Buying colorful Kiras, scroll painting or Thangkas, Mandala paintings, prayer wheels, masks, Buddha figurines, yak hair bags, etc. Obey the regular Buddhist customs. Never point your fingers or feet at anyone. Take-off your shoes before entering prayer rooms or temples. Don’t kill insects and animals. So, have a delightful holidaying experience in the realm of mysteries. 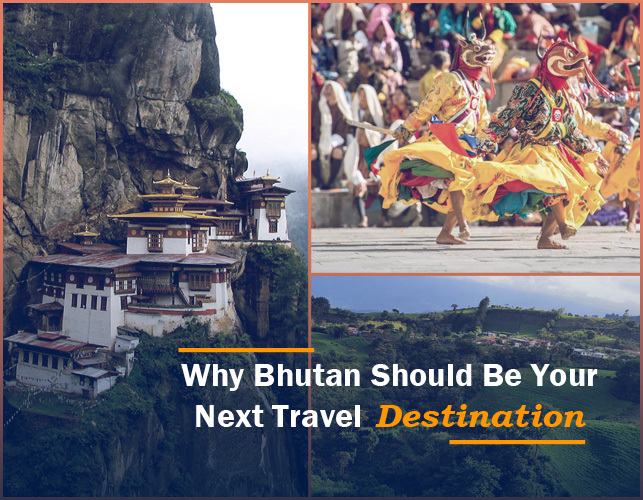 Reasons Why Bhutan Is an Amazing Honeymoon Destination?